Do you have a dry well system installed on your Burien, WA property? Is it not working as efficiently and seem to be in need of repair? Vac-Tec LLC can help. Our company specializes in dry well repair and is equipped to resolve all kinds of dry well problems. Give us a call if your dry well is backing up and failing to dissipate the rain water or storm water run-off into the ground. No matter which dry well problems our experts have to deal with, they deliver lasting dry well repair solutions to get your dry well system quickly back up and working correctly. However, the drainage system cannot be taken for granted. 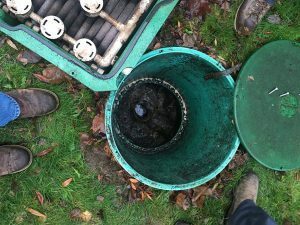 Regular dry well maintenance is a must to keep it working efficiently.Failure of a dry well system in any Burien property spells big trouble for the landscape. If dry well repair is delayed for too long, even health concerns can arise with pest breeding in the water that starts pooling in the yard. Lose no time in calling us if you have a dry well full of water that does not seem to be seeping into the ground as it should. We are available 24/7 for emergency dry well cleaning service and dry well system repairs. Dry well problems are not something that you should take lightly. Make sure to act swiftly and call only well-trained, experienced technicians for dry well rejuvenation or repair. 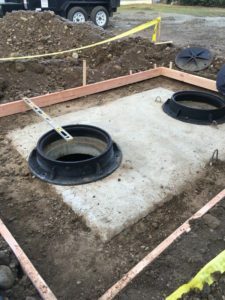 You cannot expect your dry well drainage problems to be resolved effectively by hiring someone who does not understand the construction and working of dry wells. 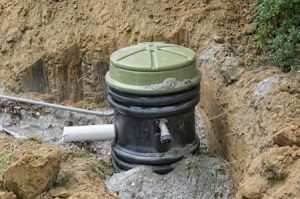 Bring in our dry well repair crew to be sure of accurate and lasting repairs for your dry well problems in Burien. Facing dry well problems in your Burien property? Call Vac-Tec LLC at (206) 339-0039 and receive a free estimate on dry well repair cost.